This form collects information we will use to send you emails and special deals. We will not share or sell your personal information. You can unsubscribe at any time. I'm Here to Help. Every step of the way. 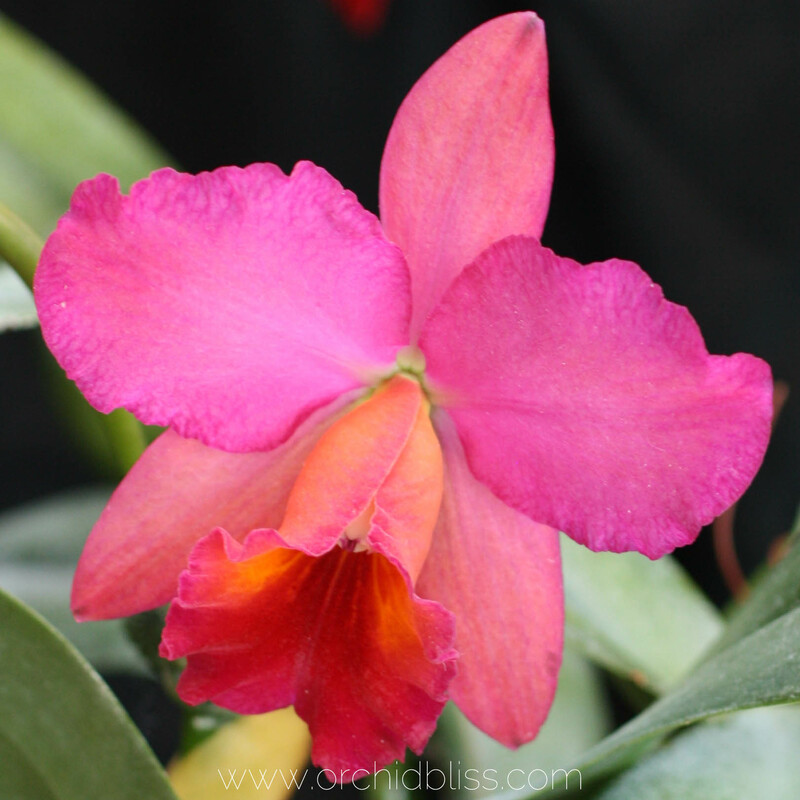 ORCHID BLISS: YOUR RELIABLE SOURCE FOR DISCOVERING HOW TO CARE FOR ORCHIDSTELL ME MORE! 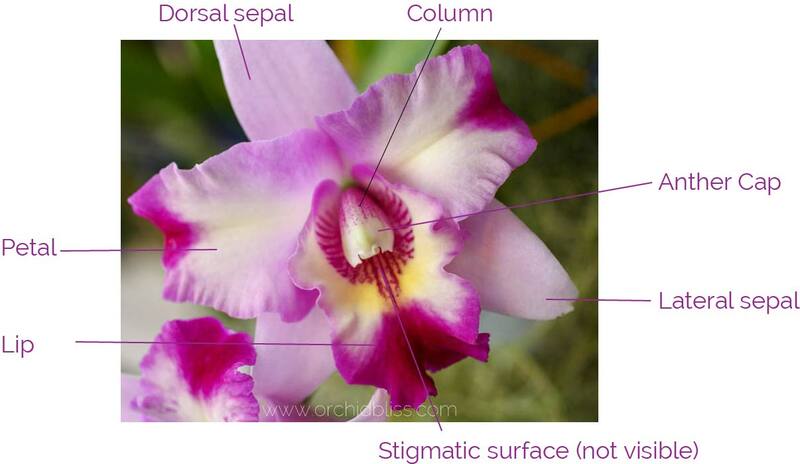 While learning about orchids are you coming across strange words like monopodial and sympodial? Then this article is for you. I don’t want there to be any confusion when it comes to orchid care and hope you find this glossary helpful. The orchid has three sepals, one dorsal sepal at the top and two lateral sepals one on each side. Three petals, one on each side and the lower lip, also called the labellum. The column and anther cap are the reproductive area of the flower. 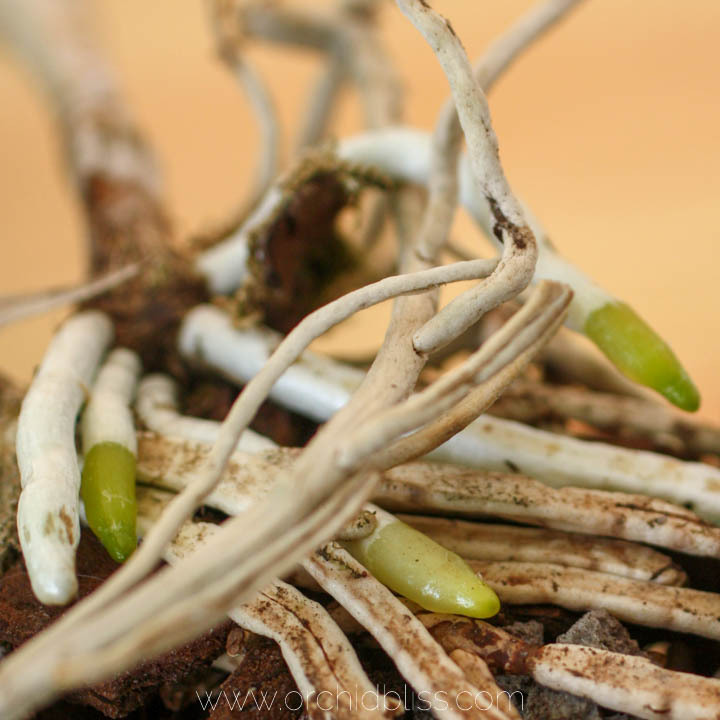 Aerial roots are roots that do not grow down into potting media, but rather, grow out into the air. These roots are specifically designed to grow in air and should not be potted or worse, cut off. 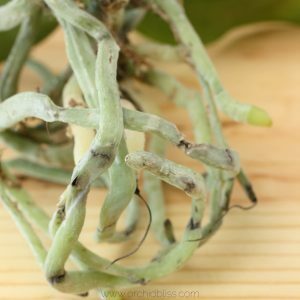 Aerial roots grow in the air, as opposed to down in the potting mix. 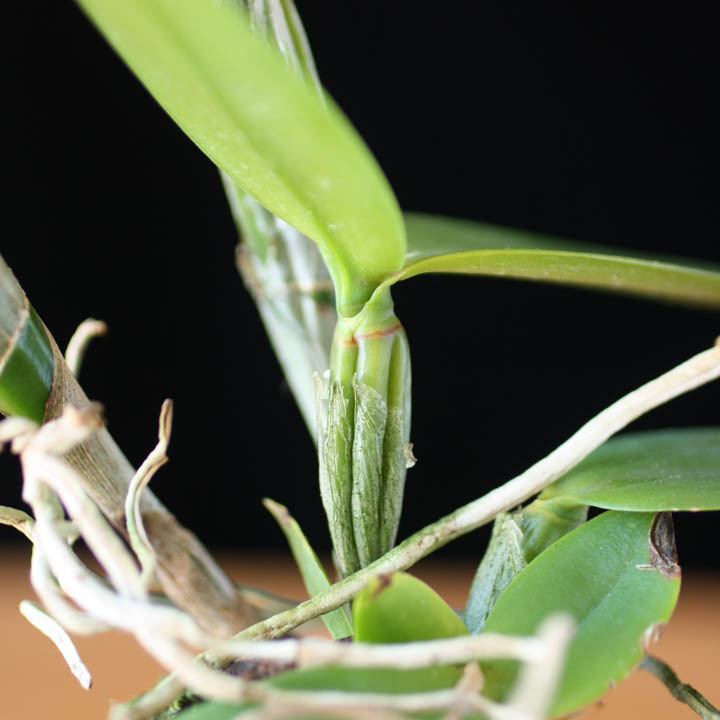 Resist the temptation to trim away aerial roots as they absorb water and assist the orchid in photosynthesis. Have you ever felt like your orchid was looking at you? Perhaps it’s because they look like our faces–well, sort of. Our faces and orchid flowers are both bilaterally symmetrical. This means that if you divide our face, and orchid’s face, in half, from top to bottom, one side would mirror the other. Most other flowers have radial symmetry, the faces of these flowers can be sliced in any direction and still mirror each other. Doesn’t it almost seem like this orchid can see you? If you’ve had seemingly healthy bud wither up and die for no apparent reason you have first-hand experience with bud blast. Though deeply disappointing, bud blast can be avoided once you know its causes. Bud blast is the result of drastic environmental changes. Changes in temperature and watering fluctuations common causes of bud blast. Pollution also causes bud blast. 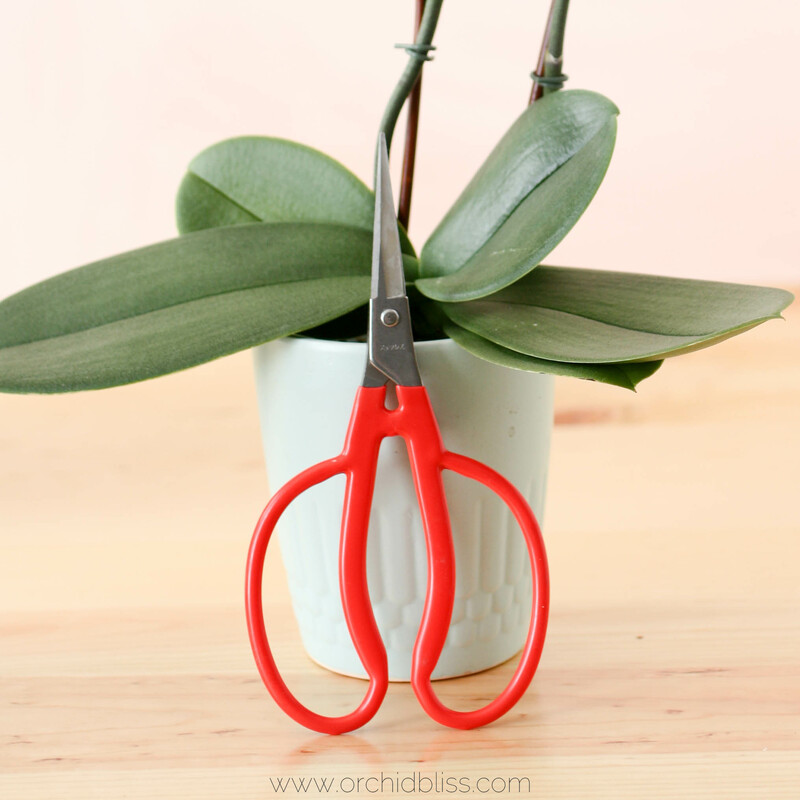 To decrease the chances that your orchid experiences bud blast, keep you orchid away from heating and cooling vents, drafts from a frequently used exterior door and riding in the trunk of the car. 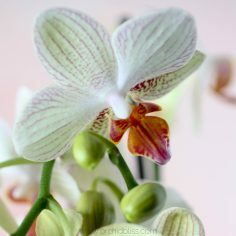 If you grow your orchids in one room of your house and then bring them out to the main living space when they are in bloom, it is a good idea to let all the flowers open before moving the orchid. When seemingly healthy buds wither and die without blooming it’s called bud blast. It’s caused by environmental changes like temperature and water fluctuation. The good news is that it’s preventable. The inflorescence of the orchid includes more than just the flower. Inflorescence includes the full flower stalk and all the flowers and buds growing on the stalk. The inflorescence includes the whole flower spike or stems where the flowers emerge. 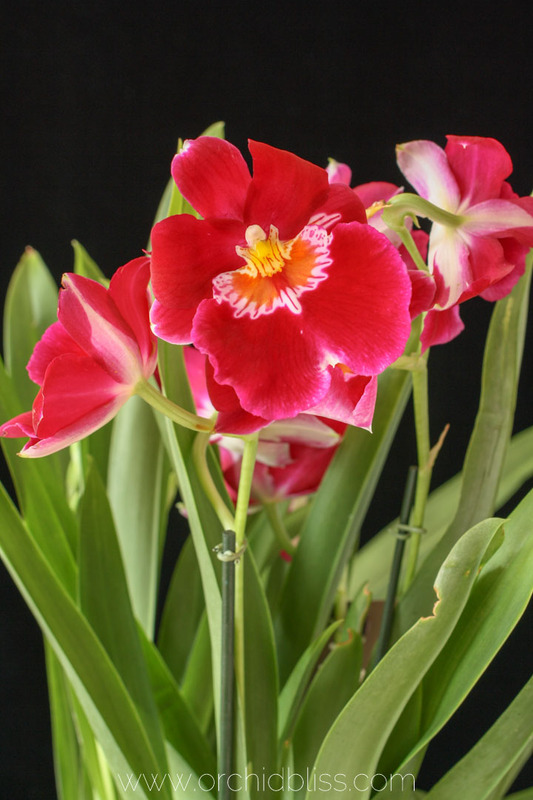 Keiki means baby in Hawaiian and refers to a plantlet growing off the mother orchid. A keiki is an exact clone of the mother plant. If the keiki grows its own roots, the keiki may be removed when the roots are several inches long and potted up. If the keiki does not have its own roots it is called a basal keiki. Basal keikis grow at the base of the orchid. 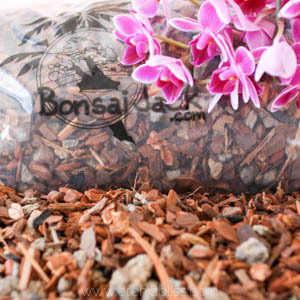 As a basal keiki does not have its own root system it is dependent on the mother plant for its nutrients and should not be separated from the mother plant. Keiki means baby in Hawaiian and refers to a new orchid growing from the mother orchid. When the roots and leaves are a few inches long, they can be separated from the mother plant. Kokedama means moss ball in Japanese and is a Japanese form of growing plants. 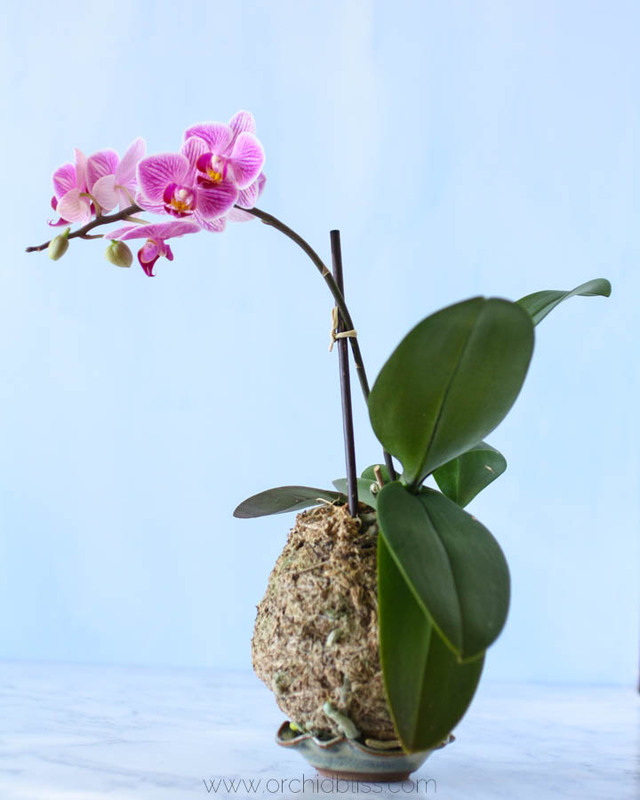 Wrap the roots in sphagnum moss to grow your own orchids kokedama style. I have had a lot of success and fun growing Phalaenopsis orchids this way. 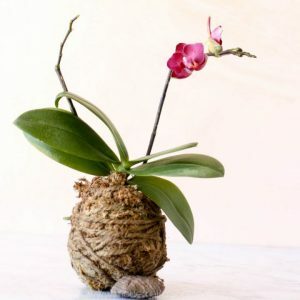 Click on the link below for a tutorial that will walk you through potting your own orchid kokedama style. Phalaenopsis and vanda orchids are both examples of monopodial orchids. Monopodial orchids grow from a single stem and not along a rhizome. These orchids do not have water storage in the form of pseudobulbs. Monopodial orchids such as a Phalaenopsis or a Vanda have a single vertical stem. Leaves grow out of the stem and roots emerge from the base of lower leaves. Flower stalks grow from the base of new leaves. Knowing this will help you better water and pot your orchids. Sheaths are a papery layer that covers pseudobulbs. Sometimes pests such as scale like to hide in sheaths. 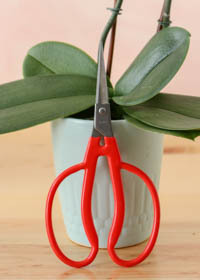 To dress up your orchid for display, or to check for bugs, carefully remove the sheaths. A sheath is a papery tissue that covers a pseudobulb as on this Cattleya. Stomata are pores on the orchids’ leaves that allow them to absorb carbon dioxide and expel oxygen. When stomata open water escapes out through the pores. 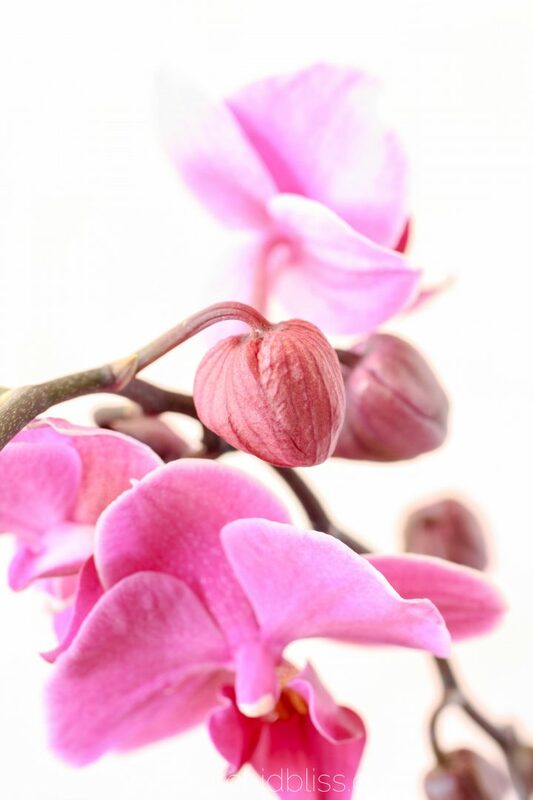 To keep the orchid from dehydrating, water in the air, humidity makes up the difference. When there is not enough humidity, the stomata close and the orchid does not absorb the carbon dioxide it needs. Most orchids are sympodial, meaning that they grow along a rhizome and have pseudobulbs. You can learn a lot about an orchid by its pseudobulbs. The newest pseudobulb is called the lead bulb and should be plump, stiff and larger than older pseudobulbs. When the orchid reaches maturity, the pseudobulb will be the same size as the previous year’s bulbs. Older bulbs are called back bulbs. 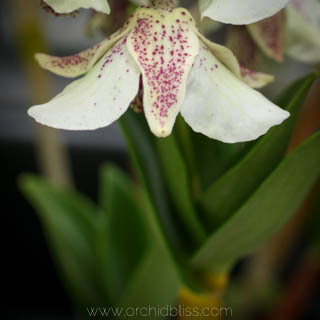 Sympodial orchids are a good investment if you want to grow your orchid collection. Sympodial orchids can be divided when potting. Just be sure that each division has about 4-5 pseudobulbs. Sympodial orchids grow from a horizontal rhizome off of which grow pseudobulbs. 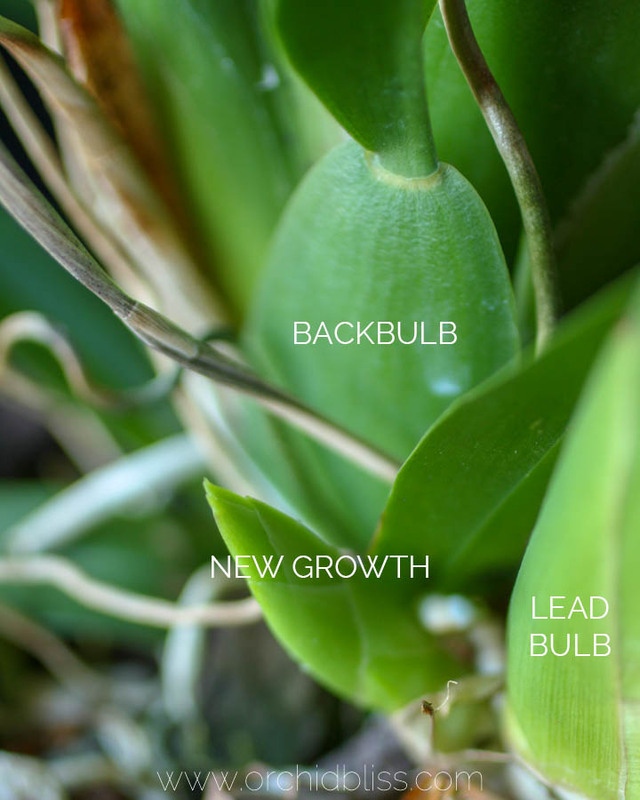 Backbulbs refer to older pseudobulbs, while lead bulbs are new pseudobulbs from which new growth appears. New growth is where new pseudobulbs and flower stalks will form. Although backbulbs may not produce flowers, they still perform an important function for the orchid: water storage. Transpiration is the rate of water loss when leaves open their stomata (pores) to absorb carbon dioxide and expel oxygen. If transpiration rates are too low the orchid stops breathing. 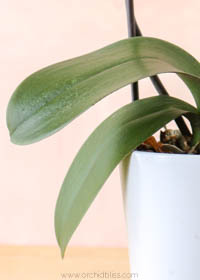 Adequate humidity is essential for a well-hydrated orchid. Transpiration is the rate of water loss when leaves open their stomata (pores) to absorb carbon dioxide and expel oxygen. 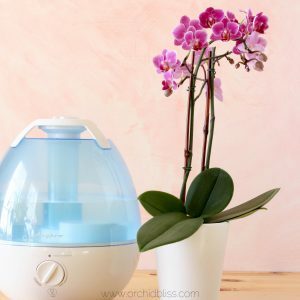 To successfully grow orchids indoors, there’s nothing like a humidifier to grow healthy orchids. To prevent damage to your home, keep humidity around 40-50%. To prevent damage to your home, I recommend using a humidistat. Within this 40-50% maximum humidity range there are many orchids that will do very well. Velamen is a sponge-like tissue that absorbs water and nutrients and covers orchid roots. 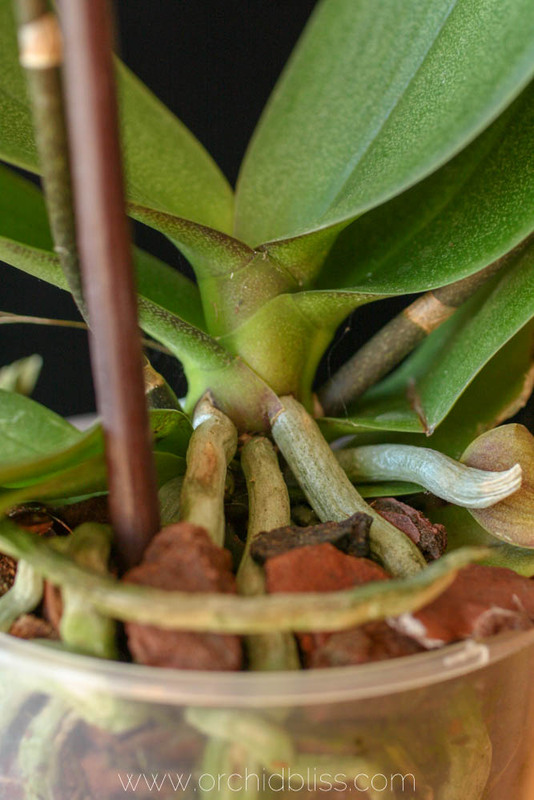 Velamen only absorbs water – it doesn’t release it – that’s why it’s important not to overwater your orchids. Velamen is stiff and firm when healthy, but turns limp if it gets too much water. If the orchid is underwatered the velamen turns brown and brittle. Velamen acts as a sponge, absorbing water and nutrients. 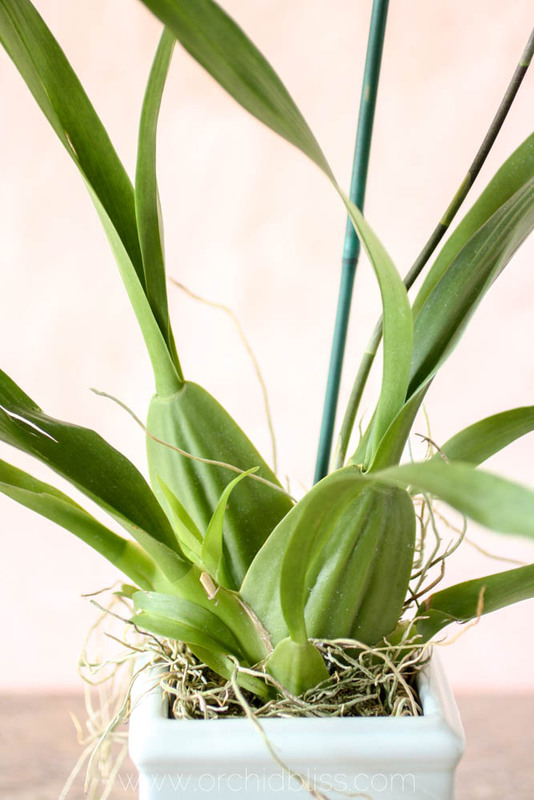 It covers orchid roots just behind the green tips and absorbs water and nutrients. 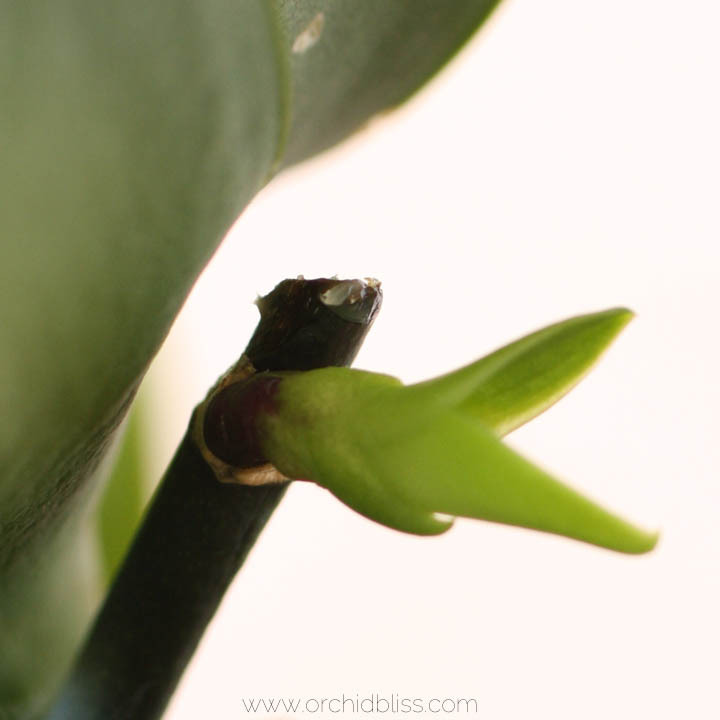 The green tips of this Cattleya orchid indicate a healthy, actively growing orchid. 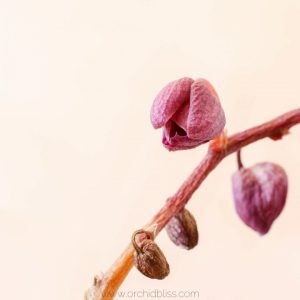 If you ever come across an unfamiliar word or phrase when learning more about caring for orchids, don’t hesitate to leave a comment below or email me at [email protected] This glossary is a work in progress. I came across a beautiful orchid plant, never seen it bloom. But seems to have a healthy root system. The velium ( I think) are about 5 inches long and there’s 4 of them. How can I persuade this plant to bloom? This is exciting! 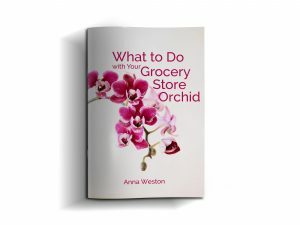 The first thing to do is to find out what kind of orchid you have. Light and temperature are the two main factors that contribute to blooming. 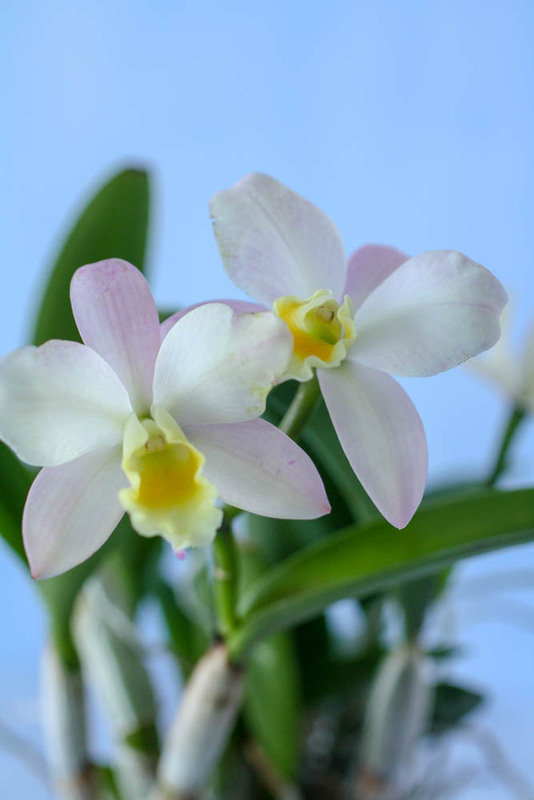 Some orchids, like cattleyas, need a lot of light to bloom, while others like phalaenopsis don’t require as much light. Many orchids need cooler temperatures to trigger blooming – but again, how low and for how long depends on the orchid. Also, keep in mind that a young orchid will need to mature before blooming. Will you send me a picture of your orchid and I’ll see if I can identify the orchid? Email me at [email protected]. Dear Anna I love your site and also uour helpful hints that I adapt for my North Queensland Australia weather- humidity city lol. I currently have 64 orchids all varieties- Vanda, Cattleyas, Oncidiums, Phalaenopsis they all keep me busy. 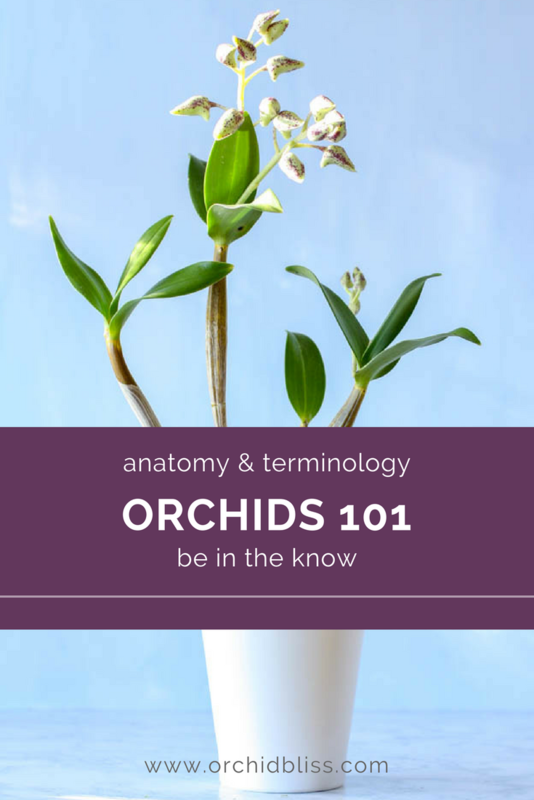 Really like your orchids and terminology 101. I had a problem like everyone else accessing this so glad it was fixed. I often have a hard time accessing your care cards as well. Hit and miss unfortunately. Thanks for reaching out to me. I really appreciate your feedback. 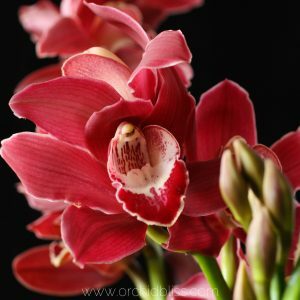 If you have a minute will you email me, [email protected]idbliss.com, and let me know what the problems have been accessing the orchid care cards? Hopefully, this way I can fix whatever the problem is. You are living in the perfect city to grow lots of beautiful orchids!! I am new to orchids though I have wanted to try for years. You site is by far the BEST, MOST COMPREHENSIVE, and the EASIEST for a novice to use. Thank you so much for giving [me] the confidence to take on these beautiful plants. 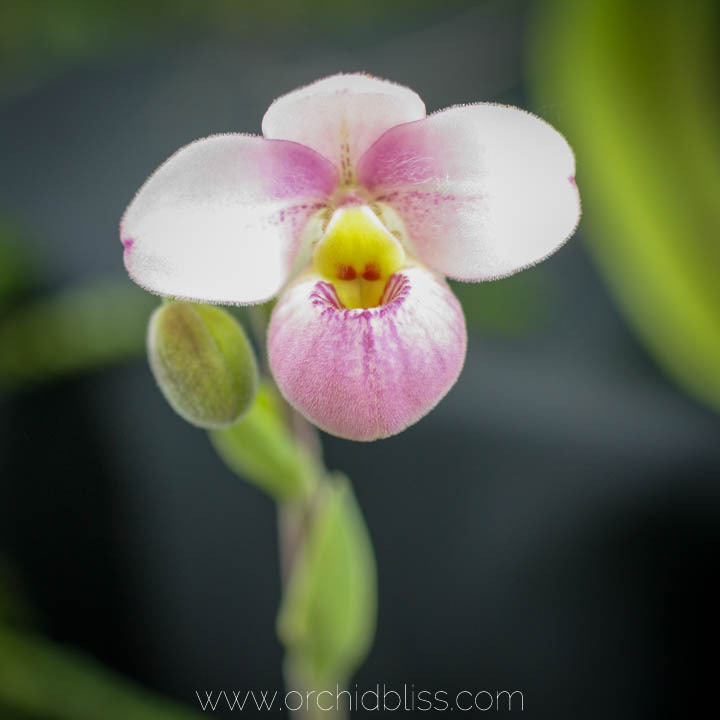 Everything you need to know for thriving Phalenopsis orchids!